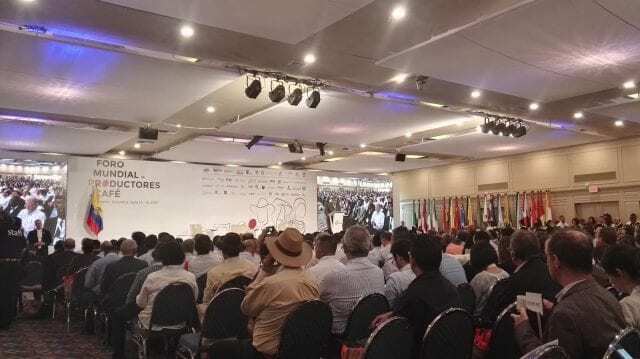 World Coffee Producers Forum (WCPF) 2017 was a historical moment in the coffee industry. 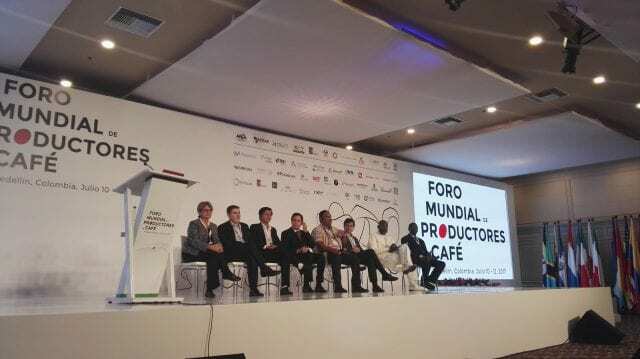 For the first time, a world coffee conference was focused on producers’ voices. The three days were filled with passionate and thought-provoking responses to issues in the coffee trade. Sparks flew as people asked difficult questions – and often disagreed with each other. And we can only hope that the impact of these discussions is felt throughout the supply chain. The goal was to respond to all these challenges in a comprehensive way, with the insights of experts from all over the world. Global co-responsibility and cooperation were key themes. 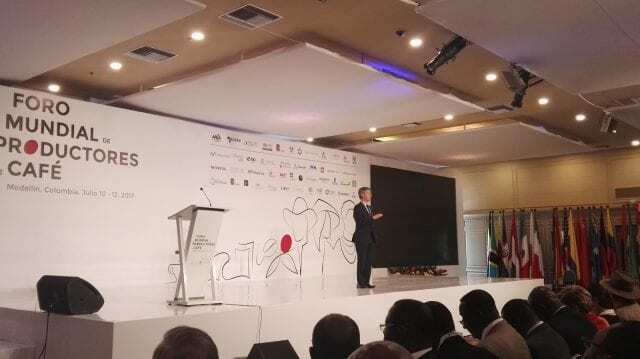 The attendees included leaders of different coffee-producing countries; national coffee associations; representatives of leading organisations, including the International Coffee Organization (ICO), Starbucks, Walmart, and UTZ; and other actors across the value chain. Are Sustainable Coffees Really Sustainable? The event kicked off with a hard question, but one that has been concerning the industry for a while now: are sustainable coffees really sustainable? 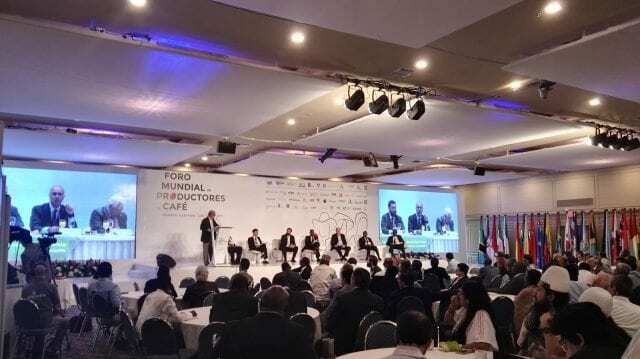 A Colombian producer raised the issue during the Economic Sustainability of the Coffee Producer Panel, focusing on the fact that sustainable certifications require greater investments from producers. For him, the financial and social benefits of these certifications do not compensate for the investment. Chris von Zastrow, Director Coffee Sustainability at Starbucks Coffee Co., began the discussion by acknowledging that many farmers cannot cover the costs of production. 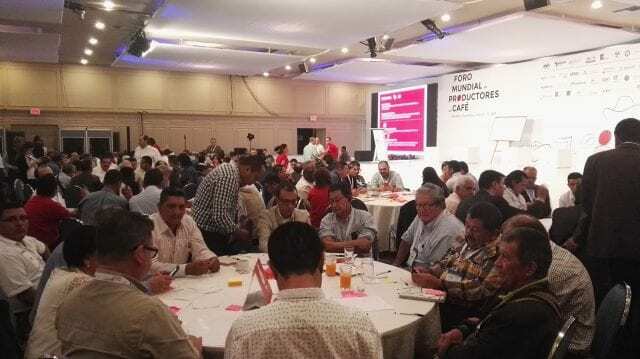 His suggestion was that producers negotiate with local cooperatives for higher prices or sell their coffee elsewhere – a comment that implies producers have the ability to determine market prices. His stance proved controversial. Jeffrey Sachs, a world-renowned professor, economist, sustainable development leader, and Special Advisor to the United Nations, spoke next. He emphasised the importance of a holistic approach to achieving economic prosperity, social inclusion, and environmental sustainability – and the fact that this should be a global goal. She underscored the importance of partnership, stating that the new Rainforest Alliance and UTZ partnership will support not just rural development and the environment but also cost-effectiveness. She also added that future-orientated farm technology will be needed to keep farming an attractive career option for the next generation. How Can We Increase Coffee Prices? The issue of coffee prices came up again and again. With market rates stagnating while expenses and the cost of living increases, this is an issue that desperately calls for solutions. Ricardo Arenas Menes, President of Guatemala’s national coffee association, Anacafé, emphasised the importance of answers. He told us that he speaks on behalf of 125,000 Guatemalan families when he says that discussing the industry’s topical issues is crucial, but producers need more than just discussion: they need answers and solutions. During the Presidential Panel, President Juan Orlando Hernández of Honduras suggested that internal consumption in producing countries could provide one answer. He believed it has the power to increase coffee prices and encourage production of high-quality crops. Are Alternative Pricing Systems a Viable Option? Throughout the discussion on coffee prices, attention turned to potential alternative models. Several speakers had suggestions that they believed could address the issue. Jeffrey Sachs suggested that the cost be passed on to consumers. He proposed that the cost of a cup of coffee be increased by just five cents, saying it would allow producers to receive twice what they receive today. “A slight increase for consumers would mean a huge increase for producers. That is fair trade,” he said. Menes criticised the current market price. He explained that producers today receive just 30 cents/lb more than they did 30 years ago, in 1977-1976. He asks if the New York C price responds to the current worth of differentiated coffees from Colombia, Central America and other countries – or do we need another tool? And René León, Executive Secretary of Promecafé, agreed that the C price does not currently correspond to the reality of high-quality coffees. He argued that specialty coffees need different prices as they are unique products. On the other hand, Bopanna Manavittara Belliappa, Managing Partner at Equinox Inc., India, argued that pests and disease make production of the high-quality yet vulnerable Arabica coffee plant unprofitable in India – unlike the low-quality but hardier Robusta. His suggestion was to break with the status quo and establish a minimum price based on the cost of production – and then let market forces decide the price from there. Can We Find Solutions to Climate Change? Climate change is an issue of growing concern for the coffee industry, so it came as no surprise that there was a whole panel dedicated to it: Adaptation to Climate Change in Coffee Production. Corey Watts, author of A Brewing Storm: The Climate Change Risks to Coffee started by summarising the current situation: we are at 1°C above pre-industrial global average temperature, and some models predict a 5°C increase by the end of the century. Watts’ research for The Climate Institute in Australia demonstrates that the area available for growing coffee could, as a result of this climate change, halve. And even if his results are wrong, even if it is as little as a 20% reduction, that is still a major risk for coffee-growing communities. Watts’ message was mixed. “The main cause of CO2 emissions, not only in coffee but in general, is the developed world, not the developing world, for the main part,” he told us. Yet he also wanted to encourage producers to assume a leadership position in the fight to mitigate against it. Enselme Gouthon, President of Agence des Cafés Robusta d’Afrique et Madagascar (ACRAM), shared the results of data collection across three African countries related to weather and plant health/phytosanitary conditions. He told us that this data is useful for providing expert advice to producers. He finished with a warning: climate change is a reality, and all the different actors from across the industry should actively participate in order to avoid global warming. Marcelo Burity, Head of Green Coffee Development at Nestlé, turned the conversation to in-country solutions. As climate change continues to be an issue, strategies need to be adapted to each individual country and region. Burity highlighted Nestlé’s repositioning of in-country extension services. He argued that many countries need to both redesign the extension services for producers and how they are provided. He also mentioned the need to invest in research to provide solutions in the future. Nestlé has a research centre and breeding coffee programme; two of the aims are to understand how climate affects coffee plants and invest in the plants that react the best to specific climatic conditions. Did The WCPF Provide Answers For Producers? Throughout the forum, coffee prices, climate change, and labour shortages/generational replacement remained the biggest concerns. Most attendees expressed their intentions to find solutions in these areas. But were any solutions found during the event? Hernan Mendez Natamaya, a Salvadoran producer, said, “The biggest concern in this forum is the coffee price. And before thinking about productivity and production, we need to solve the price issue. If we don’t find a way to value the coffee we produce, we’ll have… a price decrease which will lead to many different problems.” For him, the answer lay in “finding niches for Colombian and Central American coffees, and a price increase that values the labour work”. He then referred back to the words of Ric Rhinehardt, the President of the Specialty Coffee Association, who earlier said that people between 13 and 24 years old represent the biggest group of emerging consumers. And they account for 90 million people. In addition to concerns about quality, Rhinehardt stated that we have to ask how we can meet this future demand for coffee and simultaneously ensure that the money the consumer pays really goes go back to the producer. 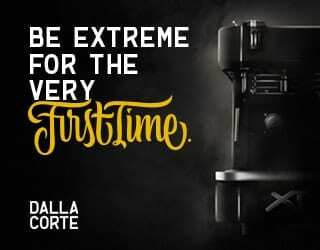 Yet Rhinehardt also sees this new consumer demographic as an opportunity – one that will allow the coffee industry to create a new commercial strategy. The question that remains is how we will create a strategy that ensures financial, environmental, and social sustainability for producers. There were moments of tension during the forum, but there were also moments of hope. The producers’ doubts and concerns, along with the industry leaders’ proposals, led to the creation of new ideas and potential solutions. 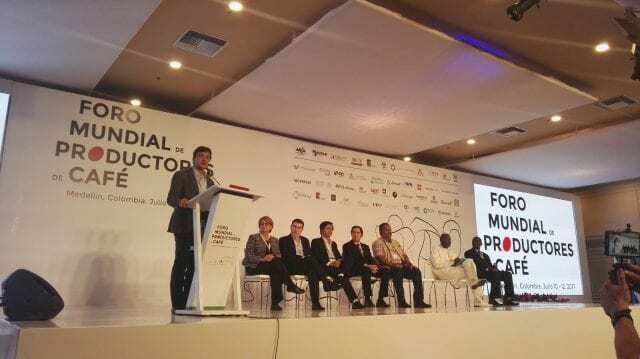 The WCPF created a new space for all the actors from across the value chain to gather, appreciate the current realities of the industry, and make plans for the future – plans that we hope will strengthen our industry. 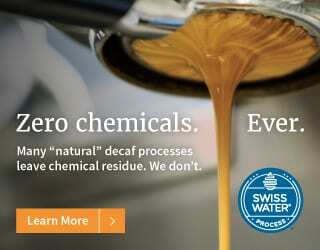 Yellow, Red, & Black Honey Processed Coffees: What’s The Difference?